Phobia of Bridges? Get over it with Hypnotherapy! A bridge too far? Get over it! 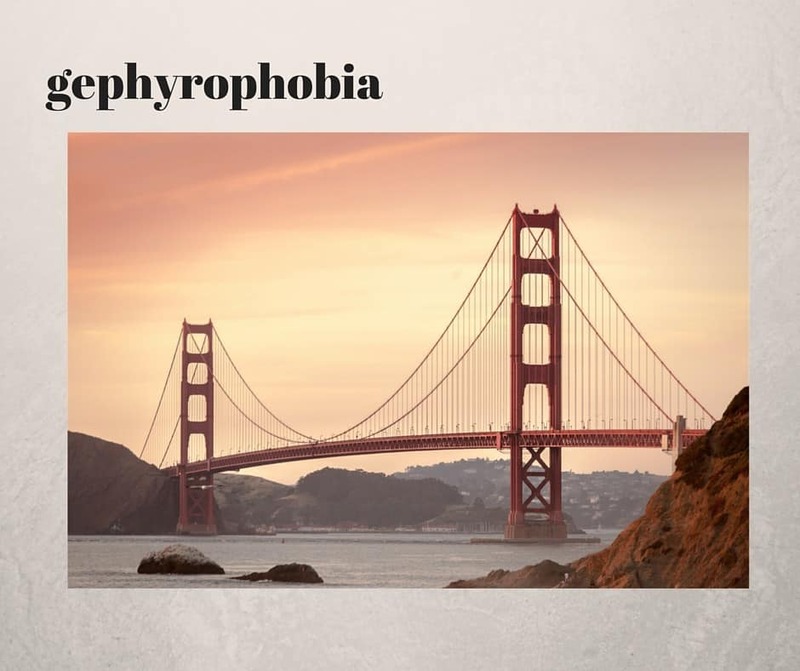 Several clients have come to see me for hypnotherapy in Reading, Oxford, London and Thame because they were afraid of bridges (gephyrophobia). It counts as a phobia because there is no rational reason to be afraid of such things. Sometimes phobias can be a result of a past event, we call it a ‘sensitising event’ in our trade. Something may have happened on a bridge and the brain instantly learned to fear them. This happens to be true of some of my former clients. Something sensitised them to bridges many, many years ago. They’d usually forgotten all about it until we began working together. I’ve used hypnotherapy in Reading, London and Oxford to help people overcome this problem. You could be next! There might also, however, be other issues in play which have nothing directly to do with bridges themselves and the danger is that if we merely treat the symptom it will either come back or change into something else. Let’s do a thorough job! Sometimes a phobia has a deeper purpose. In the case of this phobia is sometimes is a rather indirect means of keeping the sufferer safe. Reading is peppered with bridges. There are bridges over the Thames, bridges over railways lines and bridges over roads. You can’t go anywhere without finding a bridge in your way and this, in the case of some people, is the point. You can’t go anywhere. You have to stay close to home, close to that which is known, that which is safe. This has suited some of my former clients down to the ground, they got to avoid bridges and they got to avoid leaving their comfort zones. Two wins for the price of one! The brain is a clever thing! Treat the symptoms AND the cause! Some clients have seen several hypnotherapists and the fear either refused to go away or came back again. They are now free of their phobia of bridges because we worked on both both symptom and cause. Phobias are funny things. Sometimes the cause can be simple and they can be very quickly resolved. At other times, however, the cause is more profound and the work can be a little longer. Nonetheless, with Resolved! Hypnotherapy people find that the job is done properly. Just to reiterate things, if you merely deal with the symptom of a problem then the problem will either come right back or will develop into something else. We’ll be sure to work on both in order to ensure that you don’t find the problem returning or, perhaps worse, transfofrming into something else. If you’d like to find out if I can help you then please do give me a call. I offer hypnotherapy in Reading, Thame, Oxford and Wallingford. If you live locally or would like to work over a skype-like media then I’d be glad to talk with you in order that you could feel comfortable with me and confident in my ability to help you. Imagine how free you’ll feel once this bridge phobia is resolved. You’ll be able to travel anywhere, at will. You’ll be freer to enjoy your life and to do whatever it is you’d like to achieve. I’ll be here, waiting for your call and looking forward to working with you. Hypnotherapy in Oxford instead? Click here!